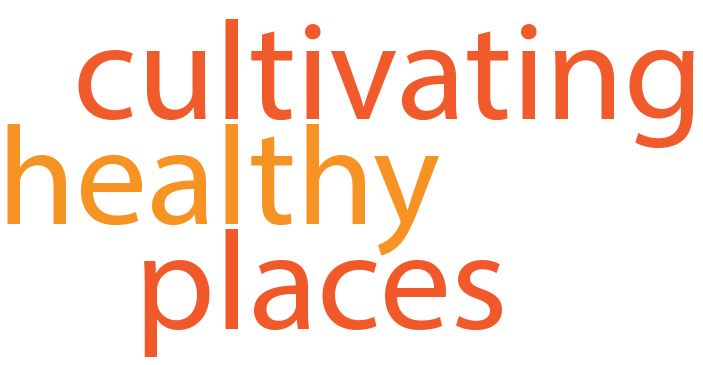 On Friday, June 22, 2012, the City of Vancouver, British Columbia held a special event to announce the development of a new planning process: the Healthy City Strategy. The half day, public event (Healthy People, Healthy City – Making Vancouver a leader in urban health) featured local and national speakers, including Vancouver Mayor Gregor Robertson, Vancouver City Manager Penny Ballem, Vancouver Coastal Health Chief Medical Health Officer Patricia Daly, and The Globe and Mail Reporter Andre Picard. Local leaders highlighted their work through short, pecha kucha style presentations and panelists discussed the need to address diversity and income equity as central components to the strategy. “Inequity is the root of all health problems,” said Andre Picard in his opening keynote address. 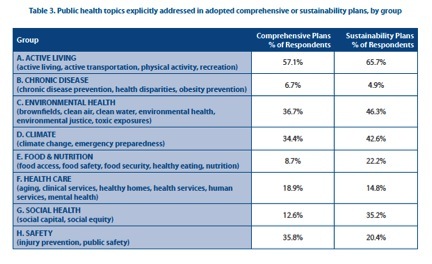 Some of the healthiest cities in the world have the smallest gaps between the rich and the poor.”Good health doesn’t happen by accident.” But rather cities need to to recognize that every public employee is a “de-facto public health official”, particularly planners. Healthy people are only as healthy as the city in which they live, he explained. The Healthy City Strategy is one of three city-wide plans that make up Vancouver’s recent sustainability planning efforts. 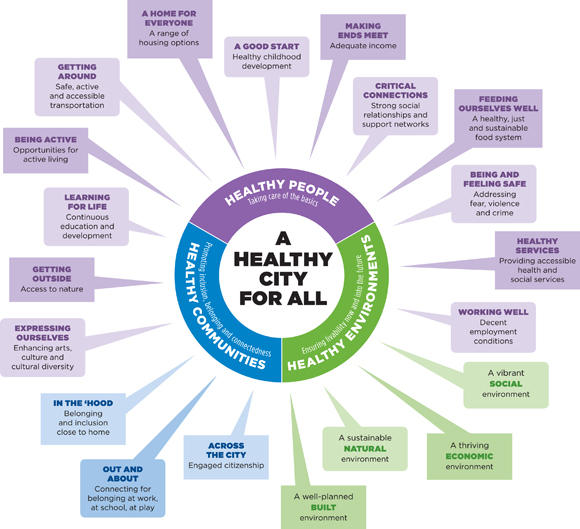 This plan will focus on creating a long-term strategy to create healthy people, healthy places, and healthy communities, and will be based on a robust and comprehensive framework (see graphic above). The other two plans focus on the ecological and economic pieces of sustainability: the Greenest City Action Plan and the Vancouver Economic Action Strategy. This ambitious planning process is a collaborative effort of the city and the health authority (Vancouver Coastal Health). The strategy will address a range of urban health issues such as affordable, healthy housing, food access, employment conditions, accessible health and social services, community engagement, fear and violence, active living, healthy childhood development, and much more. 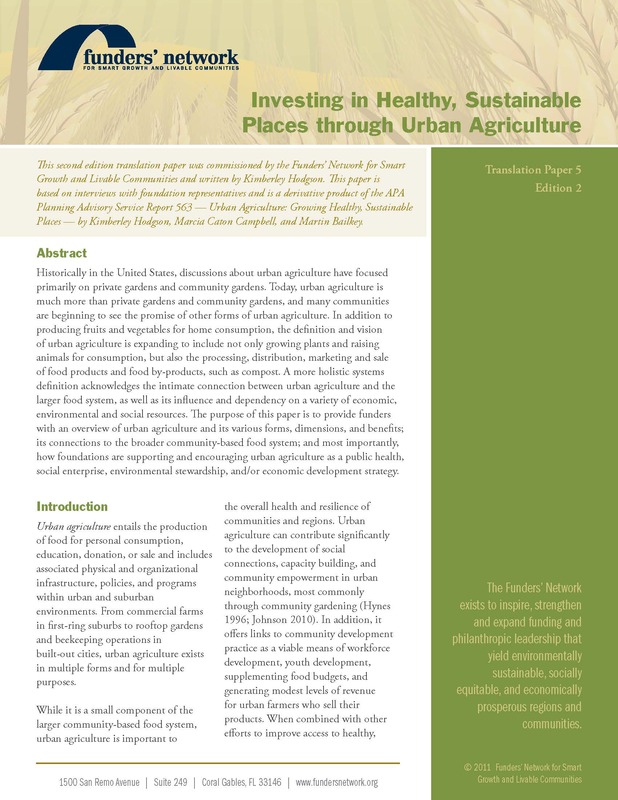 This entry was posted in Community Health, Food Systems, Social Equity and tagged built environment, community health plan, health strategy, healthy city, healthy city strategy, public health, urban health on June 28, 2012 by kimhodgson.